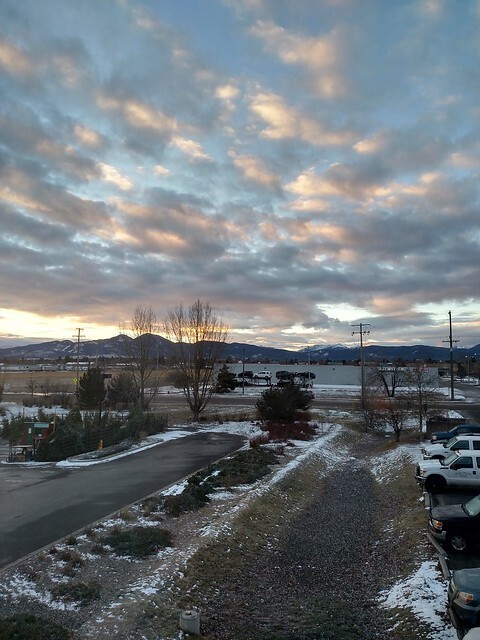 We woke up this morning in Bozeman; when I peeked out the window, I was greeted with this beautiful view, which was a nice surprise since it was too dark last night when we arrived to see the mountains. I knew they were there, of course, since we had to drive through some of them to get into town, but didn’t know I’d be greeted by them like this today. The main event today, and the reason we had to get here last night, was our nephew’s college graduation. 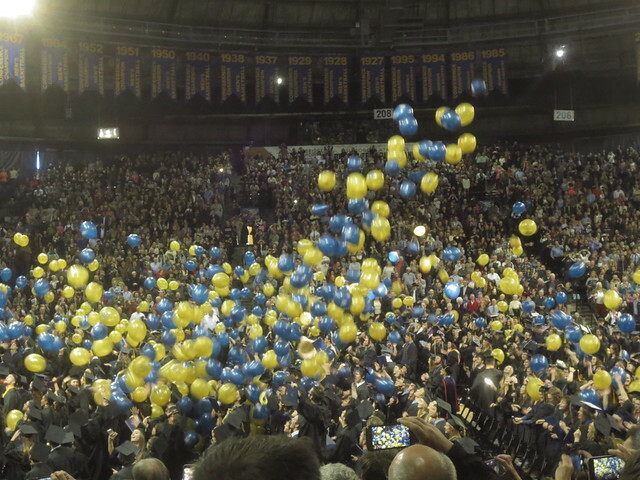 It went like these ceremonies tend to until the conclusion, when the drumline from the marching band appeared with the Bobcat mascot and then balloons dropped from the ceiling of the fieldhouse. After the ceremony, we took many photos, then ambled over to the bobcat statue to take some more, except we got separated and then the graduate’s tassel came up missing and while he was willing to give up on finding it, his father wasn’t, so it took quite a while to regroup, and I was wishing I’d stuffed my purse with cheese curds because it was well past lunchtime. 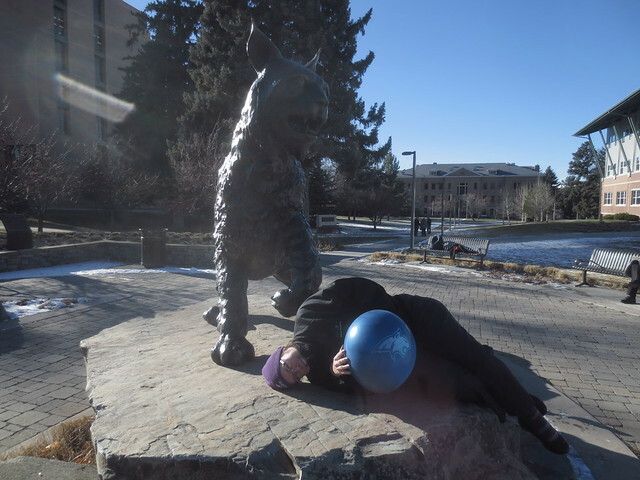 I tried to distract myself by making Mr. Karen take a photo of me being mauled by the bobcat. It worked, for a tiny little while. We did eventually get to lunch, and then retreated to our various hotel rooms to rest before what turned out to be an all-dessert dinner, which means I’m deep in a sugar crash as I type this. I only hope I can stay awake long enough to post this. All-dessert dinner! My blood sugar spiked just reading that.